Grill on the Hill is the kind of restaurant that seems like it’s been around forever. Ten years is pretty long in restaurant years, but Grill on the Hill feels much older. 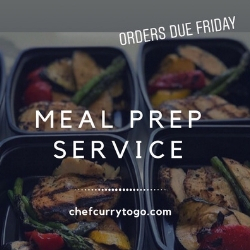 Maybe it’s the old-school menu or the old-school service or the old-school decor. Actually, it’s all of those things, but it’s especially the old-school clientele. If you’re tired of being the oldest guy in the room at these trendy new gastro-brasseries, Grill on the Hill beckons you home. I’m 40 and walking into this restaurant feels like a kid sneaking downstairs to a parents-only party...where the parents aren’t really doing anything all that interesting. I mean, I’m sure the people at Grill on the Hill are cool, but don’t expect a bunch of key parties to break out, you weirdos. 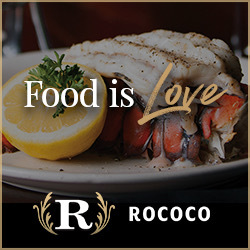 It’s a restaurant. If you’re imagining something innovative and groundbreaking, you’ll be disappointed. It’s very much diner-style food, it just happens to be diner-style food done very well. I, for one, am a fan. And if you happen by at lunch, you’ll notice there are lots of other fans, too. My first introduction to Grill on the Hill came from a political animal I know and love named Forrest Bennett, a member in so-so standing of Oklahoma’s House of Representatives. It’s a good spot for hobbing knobs with other political types, as well as a pretty fair place to shake hands with the general populace. That said, I think Forrest would have been a regular regardless, because he’s a man who has a soft spot in his heart for chicken strips and boy howdy does Grill on the Hill sell plenty of them. In the last several months, I’ve returned to the Grill many times. During the teachers’ walk-out, I took my son there for breakfast. I dragged my new co-workers at Oklahoma Today there for my first day lunch. I’ve even had a date there, because I’m a Very. Classy. Gentleman. Let’s do like they do in Paris and start with breakfast. There are things that diners do better than just about anyone and most of those involve frying flour in fat. While I’m hard-pressed to point you to better and more readily available breakfast burritos than those at Grill on the Hill, I was particularly smitten — as I so often am — with the chicken-fried steak ($9.99). It’s a big old piece of beef, pounded flat and tender, breaded and fried. The creamy gravy on top is mild, with a nice peppery bite, and they cooked my eggs right. That last detail might not seem like much, but as a lover of over-medium fried eggs, I’ve been dealt many a plate with the yolks too firm or the whites too runny, and I was glad to see both done to perfection here. 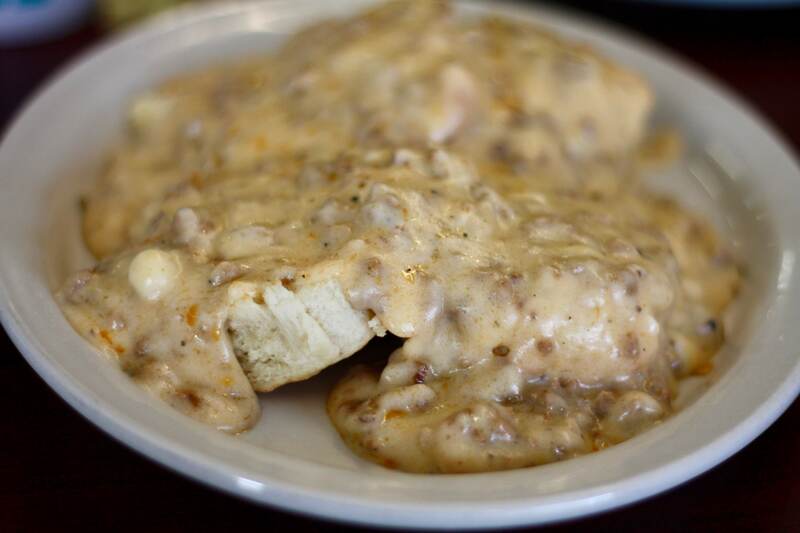 Not that it’s much less meaty, but the large biscuits and gravy ($5.99) are a sight to behold. There’s so much gravy on these biscuits, I legitimately worried it was going to cause a run at the gravy banks. The biscuits can be a might tough, but thankfully, gravy is an excellent softener of things. Try the chorizo, if you like some sizzle, or the regular sausage gravy if you were born into a world of happiness and love. 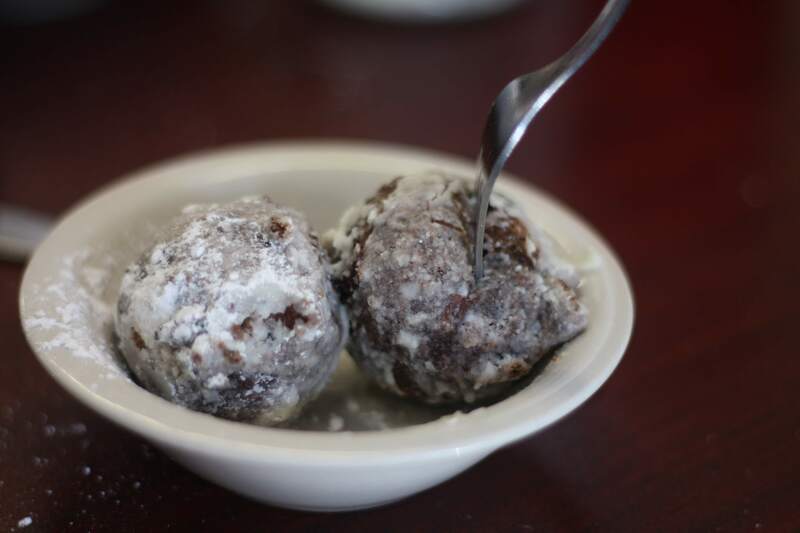 If your sweet tooth is actually multiple sweet teeth, you really need to try the fritters (two for $1). Available in strawberry-pineapple, blueberry-lime and cinnamon apple, they are lovely bites of flavorful fried dough and powdered sugar. My son still asks for them on occasion. Most of my experience at Grill on the Hill has been at lunch, because that is when I am most likely to be awake and near the southside of Oklahoma City. The dish I struggle mightily not to order over and over again is the Memphis burger ($6.49), because it’s ridiculously indulgent in the most wonderful ways. It’s an open-faced cheeseburger. With french fries on top. And a lovely ladle full of brown gravy. The gravy melts and melds with the cheddar cheese and it’s tangy and warm and delicious. 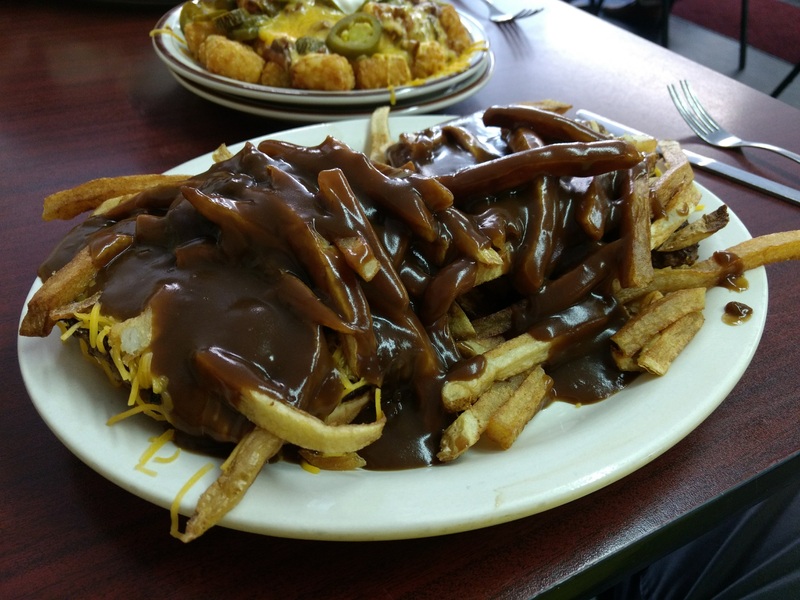 The gravy soaks into the fries, so the ends are crispy and the middles are gooey. The burgers there are nicely charred and juicy, so it mingles with the gravy and, lordy, it’s something. It’s a knife-and-fork affair, and, like all affairs, it’ll make you feel very ashamed when you’re done. 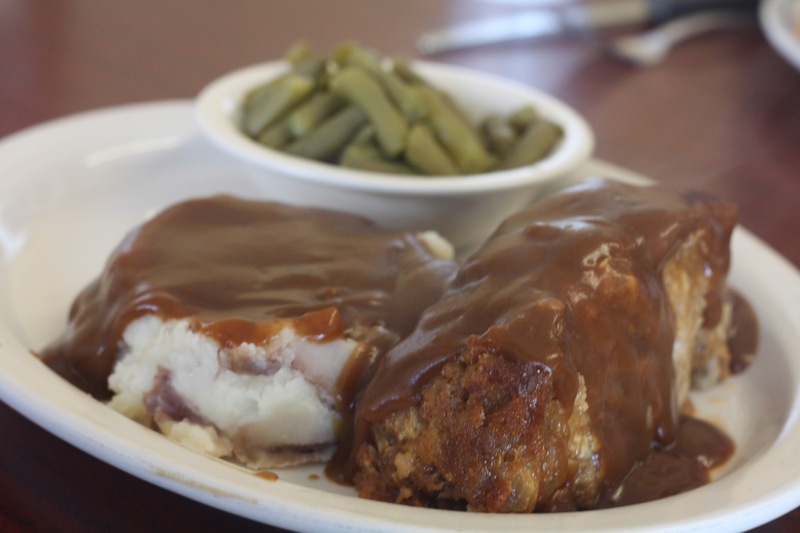 Speaking of things drenched in gravy—and that’s almost the only thing I care to speak of, if we’re being honest—the meatloaf ($8.99) is divine. Meatloaf is a divisive dish and I mostly blame your mom. Yeah. Your mom specifically. She made some pretty middling meatloaf with way too much breadcrumbs and the wrong kind of ground beef. But when it’s done well, like they do it at Grill on the Hill, it’s tender and substantial and full of delightfully fatty flavors. Pair it with mashed potatoes and you’ve got a better flavor combo than peanut butter and chocolate. They serve catfish, because they’re smart, and I liked it pretty well wedged inside a toasted bun with lettuce and tomato ($6.99). 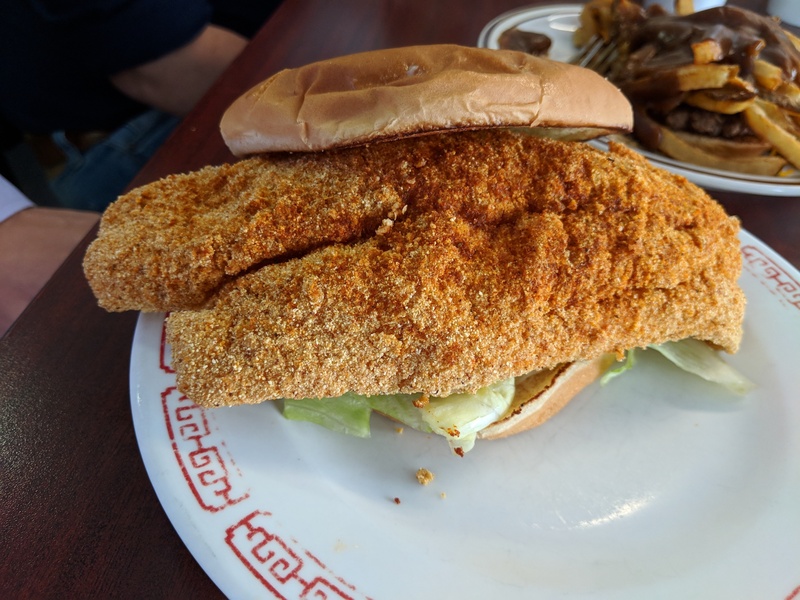 A good cornmeal-crusted catfish filet is nothing to sneeze at and I’m especially partial when they fry it crisp outside without drying out the fish inside. The mayo keeps the whole sandwich moist, but I’d suggest drizzling on some hot sauce while you’re at it. I mean, look, I like hot sauce on just about anything. (I wrote about some of my favorite hot sauce here.) Grill on the Hill has a menu rife with hot sauce-compatible dishes. Maybe my favorite thing to spice up is the Frito chili pie ($6.79). Not all chili is a good match with Fritos. Too chunky, too watery, too thick—it’s not bad chili, necessarily, but it’s not right for a Frito chili pie. 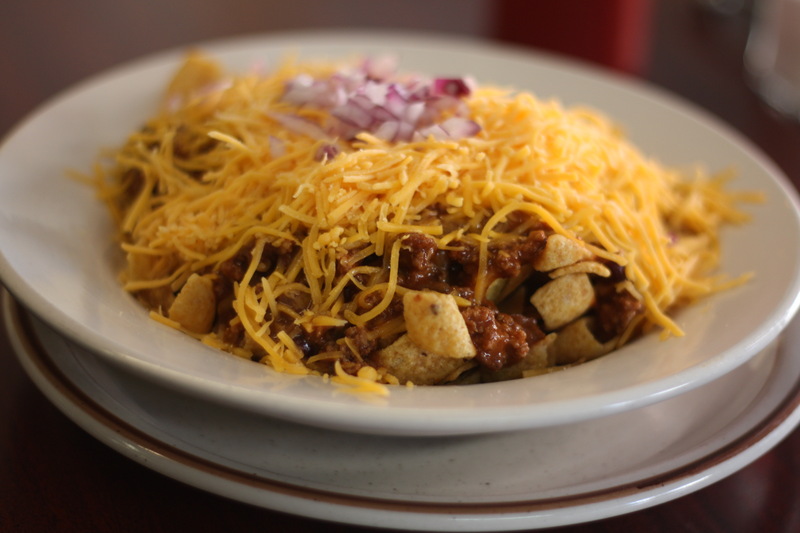 Grill on the Hill makes chili that is possibly the platonic ideal for Fritos. The texture is uniform. Not creamy, but the ground beef is pretty fine and it makes for a smoother chili. Add in some diced red onions for heat and crunch and mix it up with the Fritos for something akin to a perfect FCP. How about a potato? You know you want one. Potatoes are wonderful and everybody knows it. You know a good way to tell if someone is a malevolent demon sent from the underworld to cause the downfall of life on Earth? Ask if they want a baked potato. Only a being of pure, irredeemable evil can resist a good baked potato. 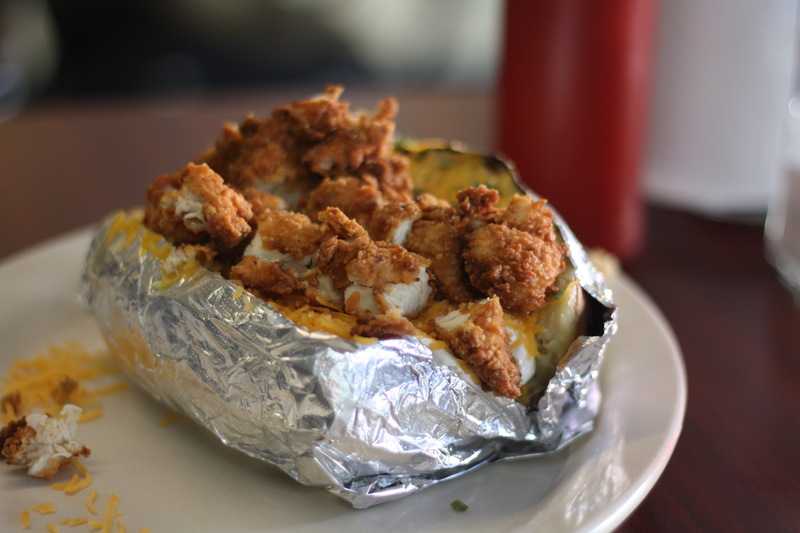 If you’d like one with a chicken strip in it, because this is Oklahoma, after all, then the chicken strip potato ($7.29) is pretty great. Butter. Sour cream. Cheese. Chives. Bacon. Fried chicken strips. With all the carbs necessary to make Dr. Robert Atkins himself return to the fiery pits of hell. Yeah, I’m saying he’s a demon. Deal with it. Grill on the Hill might be just a decade old (which is no easy feat in itself), but it has the soul and deeply satisfying dishes of a restaurant that's been here since statehood. If you haven't been, it's time to go.